The show will be presented by Jodie Molyneux who resides in Woodside. Jodie is originally from Liverpool and moved to Aberdeen to study French at Aberdeen University. 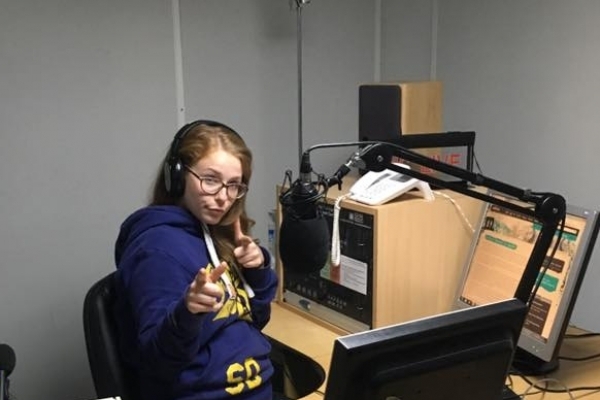 Since finishing her studies Jodie has been volunteering at shmu, writing articles for the Woodside Free Press and she has recently completed her radio training. The main focus of the show will be current women’s issues. There will be a weekly “in the news” section as well as interviews and chat on local women’s issues. Jodie has a keen interest in books and this will also feature on the show. The music played on the show will be mainly female artists. Jodie is excited to put her radio training into practice and expressed that the show is aimed at all ages and not just for women but men who support women also. Please tune in and support Jodie every Monday from 2pm-3pm.